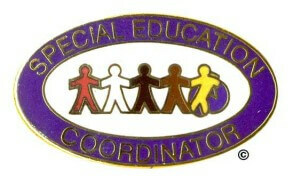 How Do You Become A Special Education Coordinator? For future educators who have a passion for working with children in special education, one career possibility to consider is how to become a special education coordinator. A special education coordinator manages programs and services, assesses and evaluates administration of programs, and works with districts, teachers, parents, and communities to provide the resources needed for successful special education programs. The position offers opportunities to make a difference in policies, programs, and students’ lives. In an undergraduate degree program students complete a number of courses, classroom observation hours, field work study, and student teaching. Course work is likely to include courses in literacy for students with special needs, current issues in special education, teaching and motivation in the special education classroom, intervention strategies, and using technologies for learning in the special education. In a graduate degree program, students will continue to gain knowledge and skill in advanced course work that extends from the bachelor’s degree level. In addition, master’s degree programs focus on research, program analysis, statistics, classroom management, and budgeting. Additional information can be found at the National Association of Special Education Teachers website. A graduate degree is often a requirement for professionals looking for positions as a special education coordinator, but experience will required. At a minimum, employers will look for candidates who have experience teaching in a special education classroom. This experience helps coordinators to monitor and assess classrooms, students, staff, and entire programs. Future special education coordinators must not only gain knowledge and experience in working with students, but they must also be prepared to handle a variety of other tasks. Employers are likely to look for candidates who have previous leadership or management experience as well as experience and skill in research and analysis to handle program assessment and implementation responsibilities. Additionally, coordinators may be required to hold certification and licensing in special education. After completing a graduate degree and gaining work experience in the field of special education, the next step is to begin to find positions to apply for in the search to become a special education coordinator. There are a number of possibilities for future special education coordinators to consider when beginning to look for a position. The majority of special education coordinator position openings are found in public, private, or charter school systems. In these systems, a coordinator in special education might be placed in an early childhood, elementary, middle, or high school building. Some districts also employ special education coordinators at the district level to oversee an entire program in every building. Additionally, future professionals in the field can look for positions in colleges or universities, private tutoring and learning companies, educational materials firms, mental health facilities, and correctional institutions. The exact requirements and qualifications for education professionals looking to begin a career as a special education coordinator depend largely on the district or organization. Many candidates, though, will need to hold a master’s degree and have work experience in a special education classroom. Regardless of the individual position requirements, to become a special education coordinator, future professionals start with a desire to help all children work successfully within the education system.